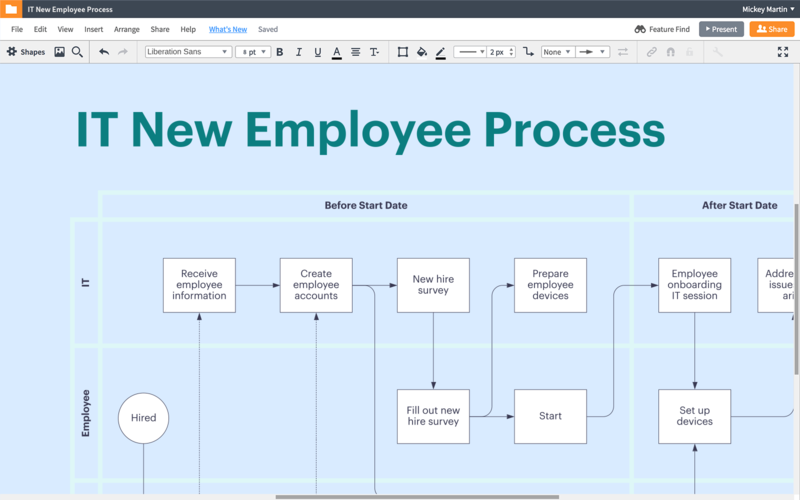 See how Lucidchart can help you design processes and solutions for your company and for your clients. 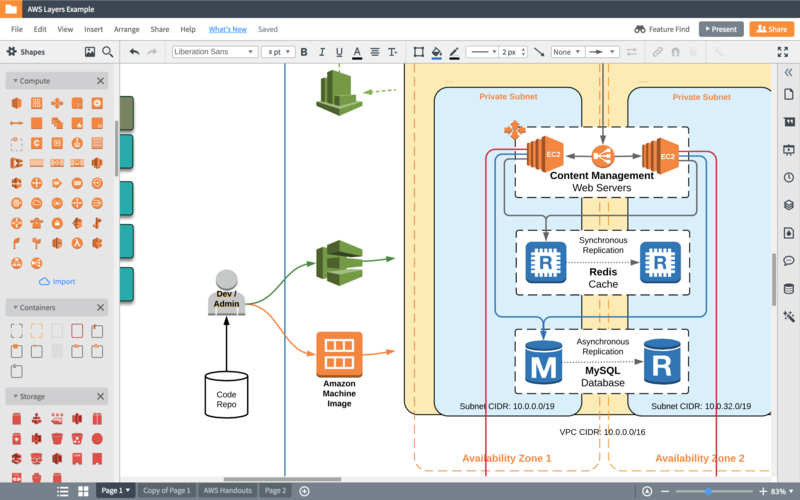 As you design and optimize network architecture, Lucidchart helps you map the current state and plan out a future state for your company or for clients. 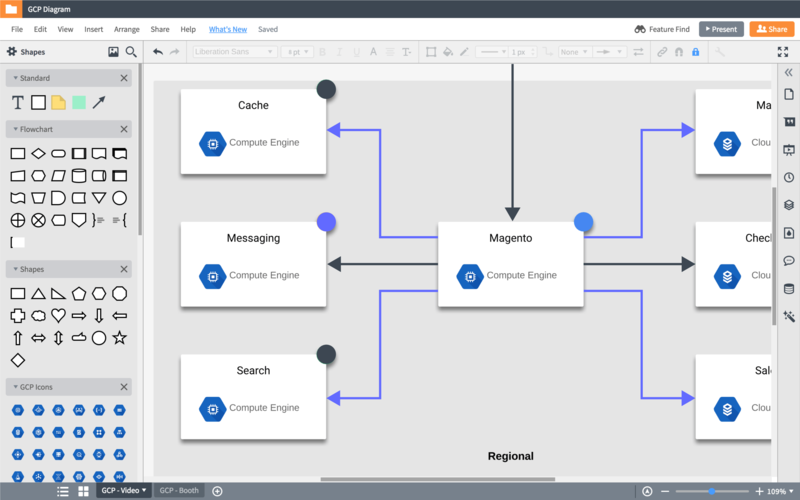 Our cloud-based platform includes layers, Visio stencil import, and shape libraries for Cisco, AWS, GCP, and Azure networks so you can build complex diagrams that clearly communicate your recommendations. Use visuals to save time and help your fellow architects become more familiar with established best practices and your code base, business processes, and system architecture. In Lucidchart, you can set up team custom shapes and templates to share with new team members and work more efficiently. By creating professional visuals in Lucidchart, you can help other architects, non-technical colleagues, and leadership clearly understand your vision and what it will take to get there. Receive the support you need and keep everyone aligned as you move forward with your plan. 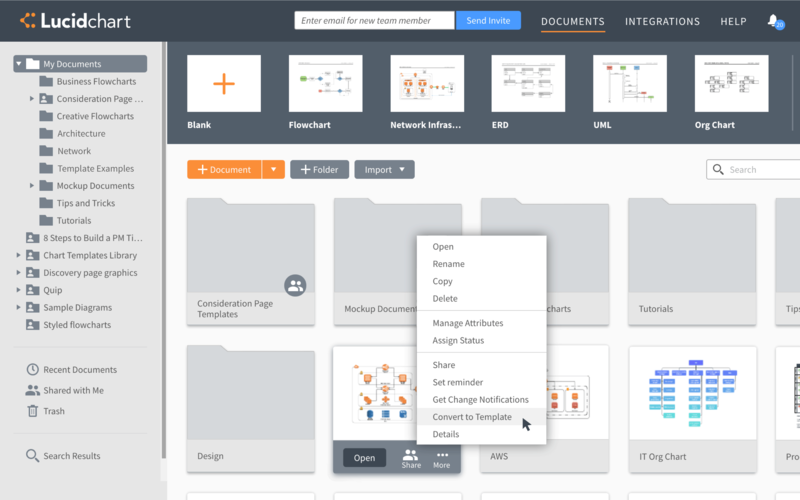 Unite IT with the rest of the company by using Lucidchart to map your business processes to the entire org. Providing everyone access to these visuals helps ensure they are implemented properly so all teams can work together seamlessly. I can take this thing, I can reuse it over and over and over again, I can have multiple iterations of it over and over again. That's the difference between creating a basic workflow and then taking that basic workflow and empowering it to be used elsewhere in the company.